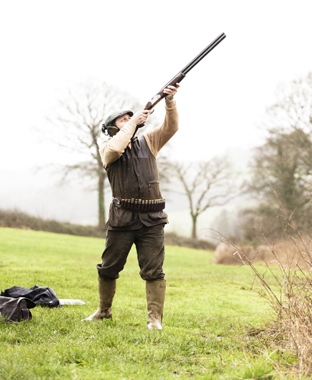 In the Wylye Valley shooting enthusiasts have a diverse range of popular shoots to choose from and The Dove offers the perfect location, be it for the shoot breakfast, after-shoot dinner or sumptuous accommodation for the night. Here at The Dove we have accommodation for up to 30 guests (based on two sharing) and can offer tailor-made accommodation packages for guests visiting to the Wylye Valley. 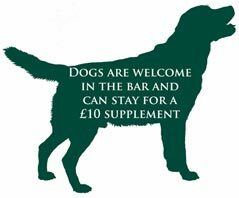 Dogs are also welcome in the bar area and can stay for a £10.00 supplement. Our Wiltshire country pub also boasts an award-winning restaurant, which offers a tempting seasonal menu using local produce and can seat up to 60 guests. The Dove’s team of chefs are happy to work with shoot parties to create their desired menu for their guests. We also have a separate private dining area for larger parties that can seat up to 18 guests. Details: Stockton Shoot covers around 6,500 acres of rolling Wiltshire downland intersected with dry valleys offering partridge shooting from early September and pheasant shooting later in the season. Details: Side by Side is a simulated clay shoot which is suitable for all ages and levels of experience. They also offer tuition via a local shooting school.